Winemaking: Hand-picked and hand-sorted, juice extraction after 12-18 hours. Fermentation in stainless steel tanks at 12°C. Tasting notes: A dark rosé colour, delicate youthful blush wine with a bouquet of wild strawberries and raspberries. Rich taste with hints of plums combined with a crisp acidity. Food Pairing: Turkey, grilled shrimp, anchovies. 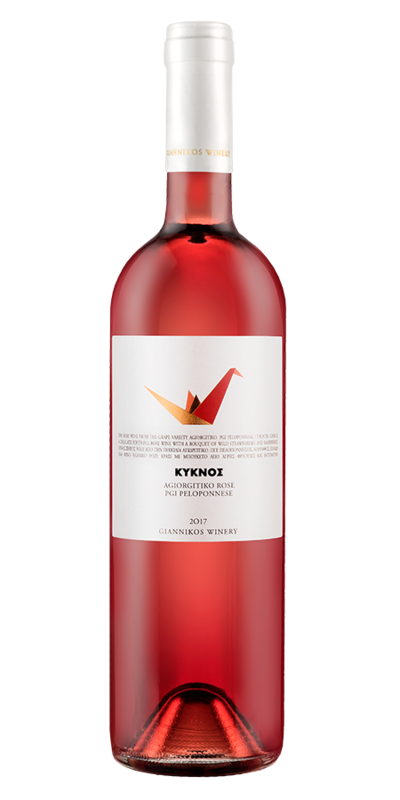 Label: The origami swan represents a modern view of ancient art like our wines.